The Penrith Swimming Club team of, back row, left to right: Emily Guthrie, Caitlin Poulson and Jake Fabi. Front: Solomon Johl and Kes Fountain. On Saturday five Penrith swimmers attended the Cumbrian inter association qualifiers in Carlisle. This gala has strict qualifying times as competitors are racing for places torepresent Cumbria at the inter association meet in Blackpool. The team of Jake Fabi, Caitlin Poulson, Emily Guthrie, Kes Fountain and Solomon Johl put inexcellent performances, with most coming home with personal best times. Jake had a fantastic day, with three firsts, onesecond and one third place out of his five swims. The previous Saturday the club took a team of 16 to the A. R. Aitken Gala in Kendal. This is a fun meet for local clubs, organised by Sue Aitken in memory of her father Alan Aitken and is made up of a team relay, individual 50m events and a coaches’ race, with points being awarded for places one to six. At the end of the evening the points were tallied and Penrith came second. All the swimmersperformed well, with some personal best times achieved in a friendly, but competitive environment. The final event of the gala was the eagerly awaited coaches’ race, with the Penrith team of Colin Titterington, Martyn Jeal, Gary Todd and Michael Fountain putting in a very creditableperformance. 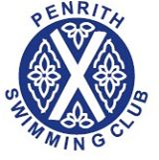 Anyone interested in joining Penrith Swimming Club should go to Penrith Leisure Centre on a Wednesday evening and speak to one of the club officials.